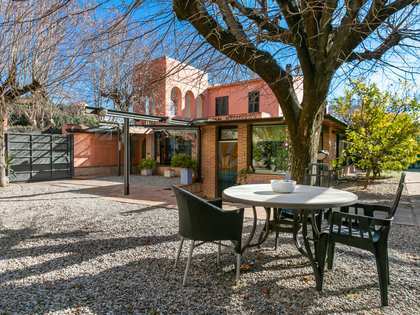 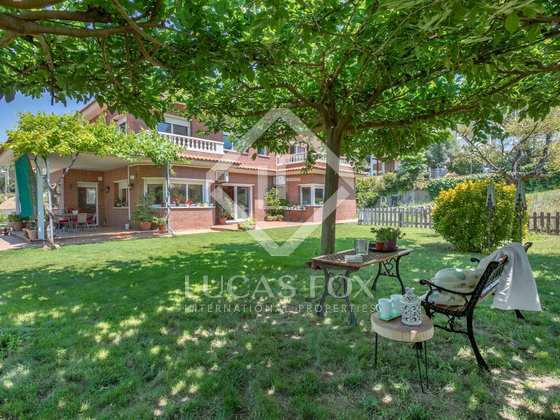 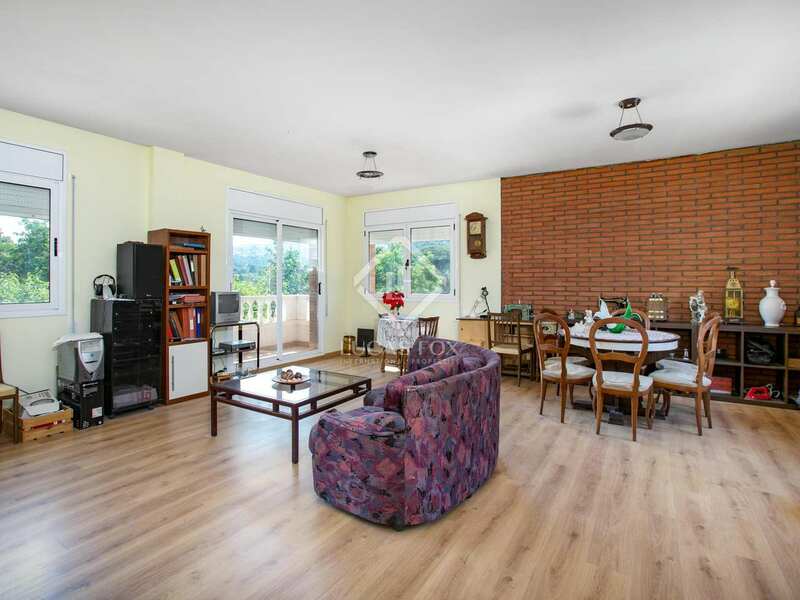 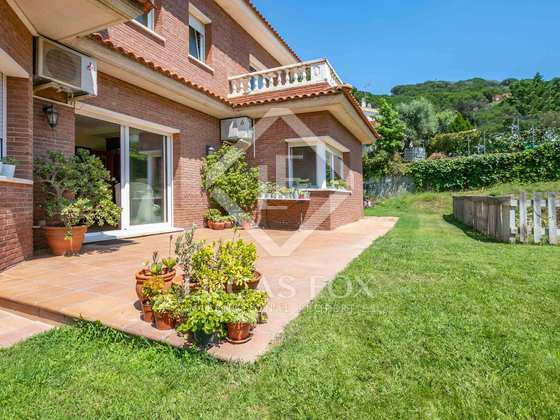 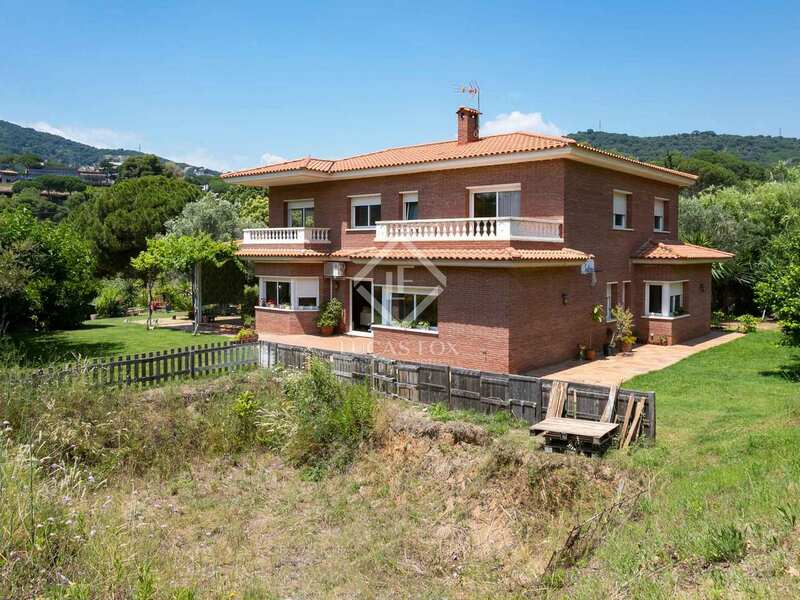 Detached brick villa for sale with mountain views and lots of space. 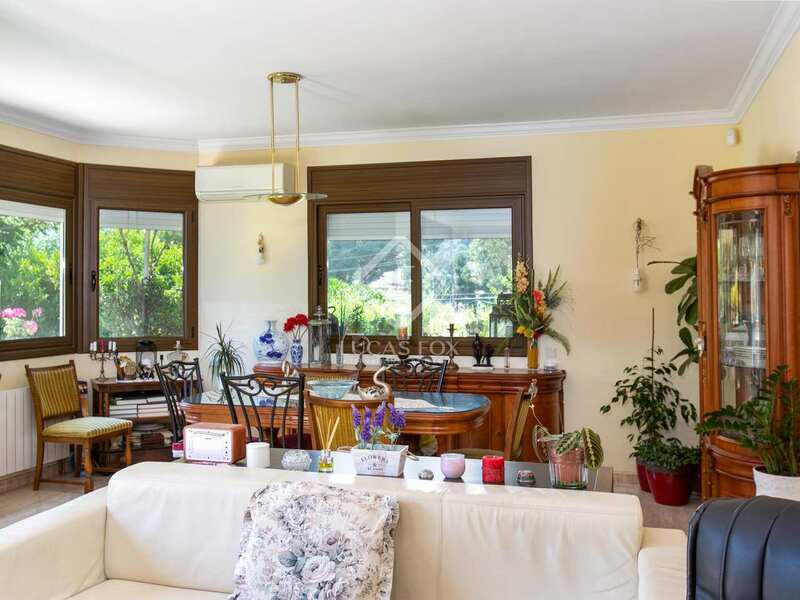 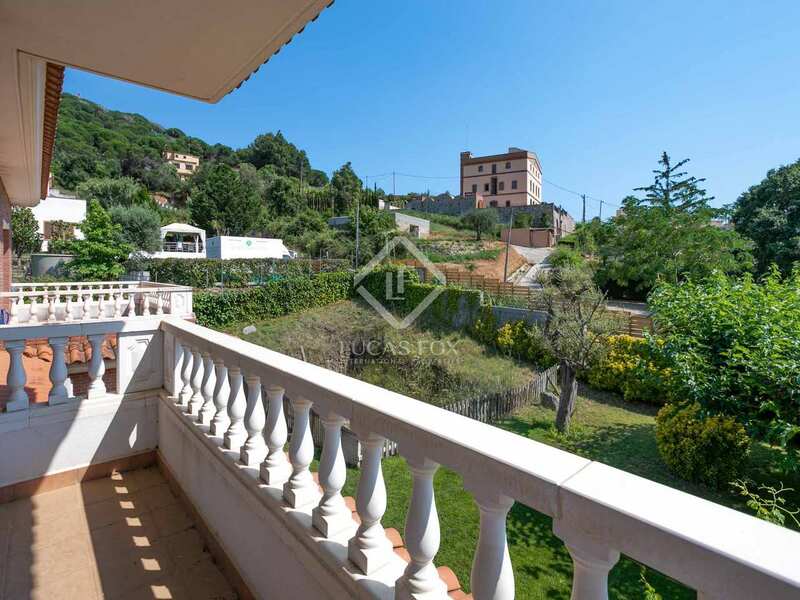 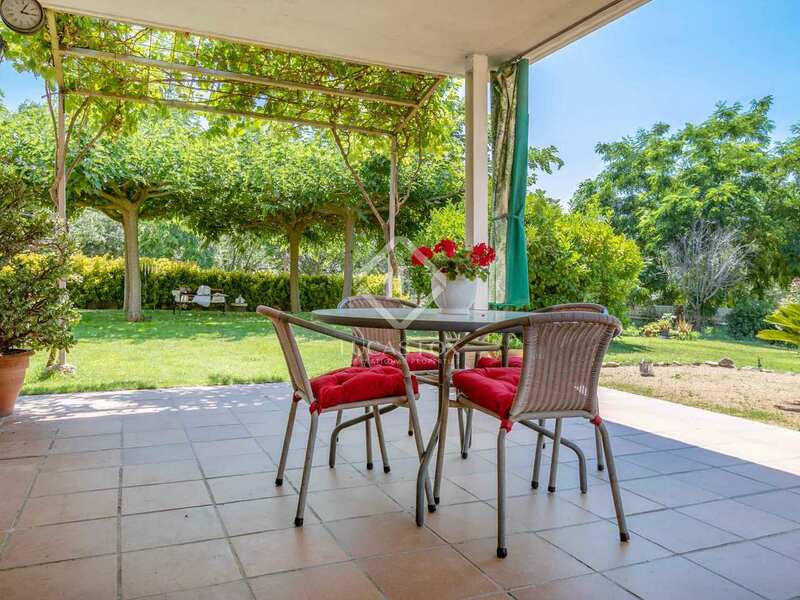 This brick villa located just outside of Alella has a tiled roof, stunning mountain views, and most importantly lots of space. 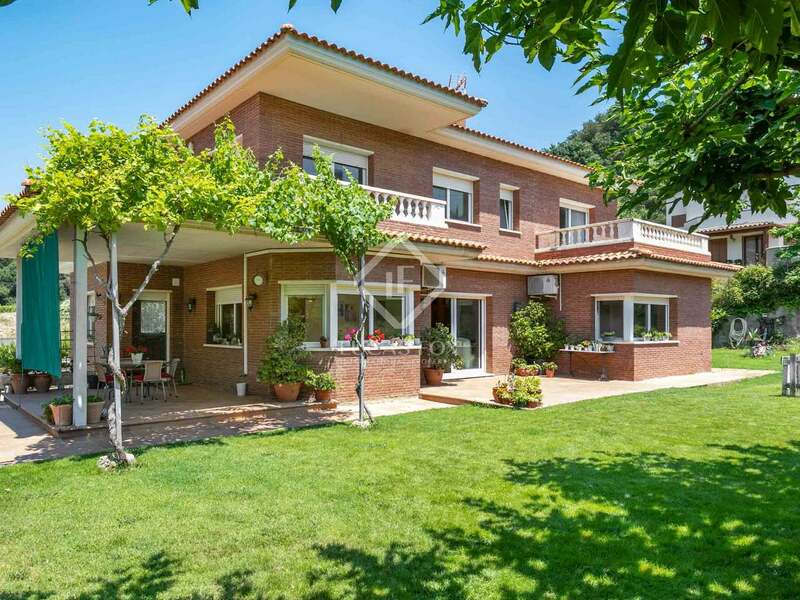 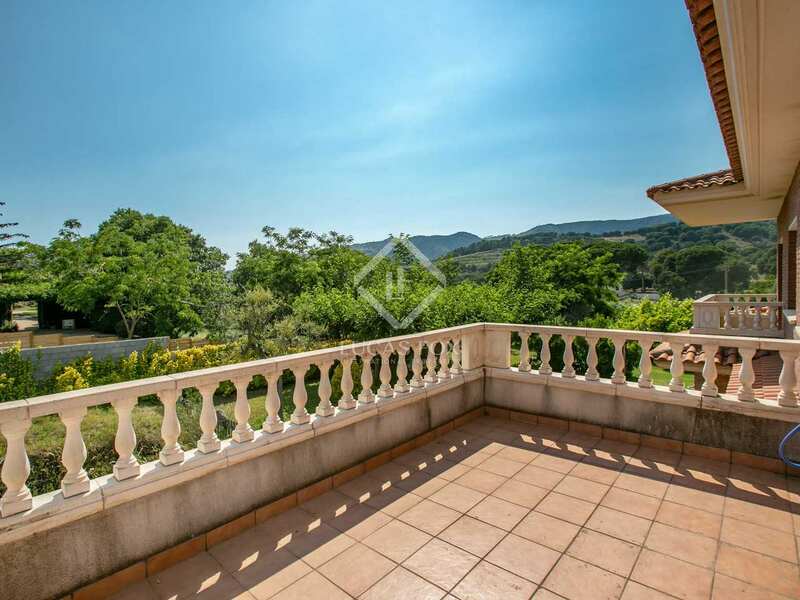 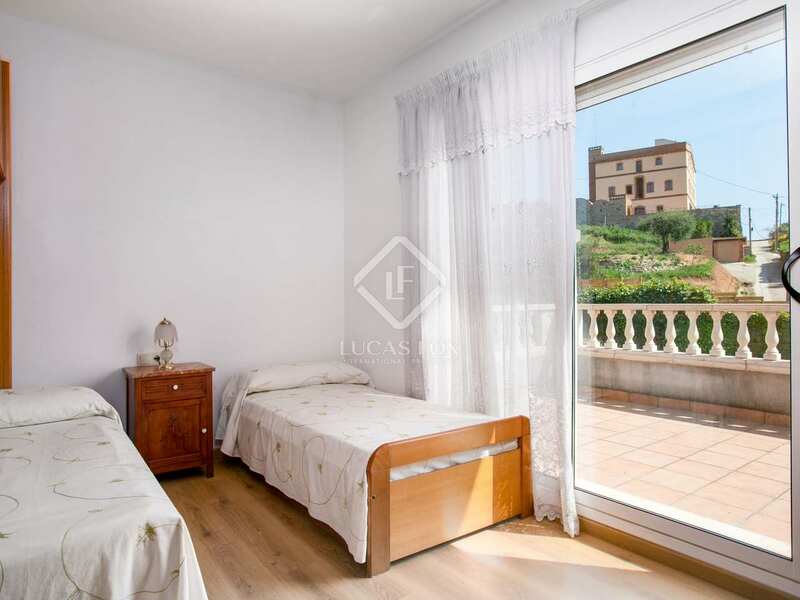 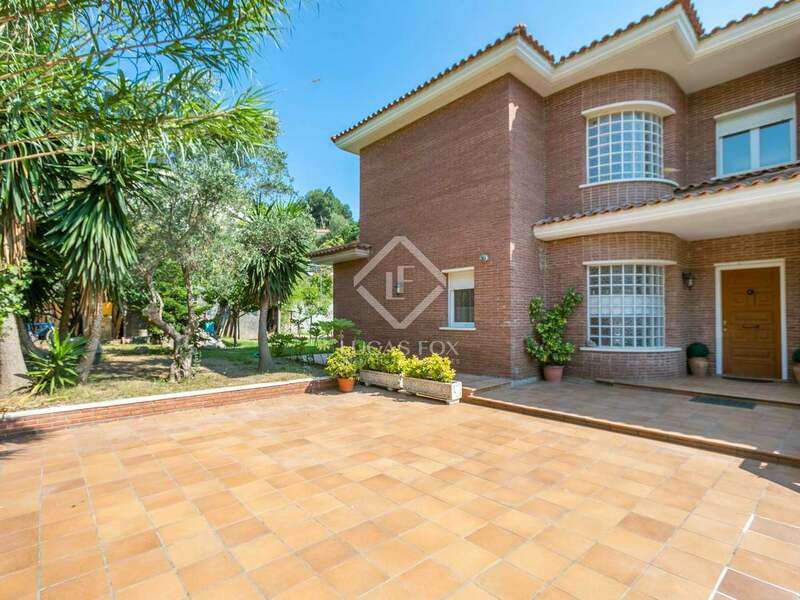 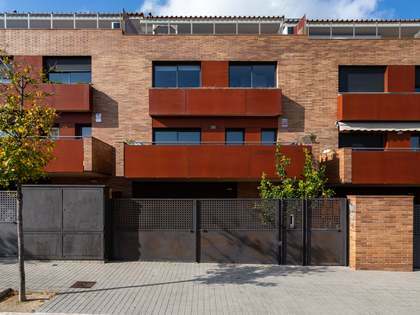 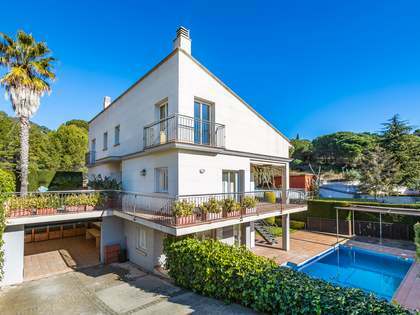 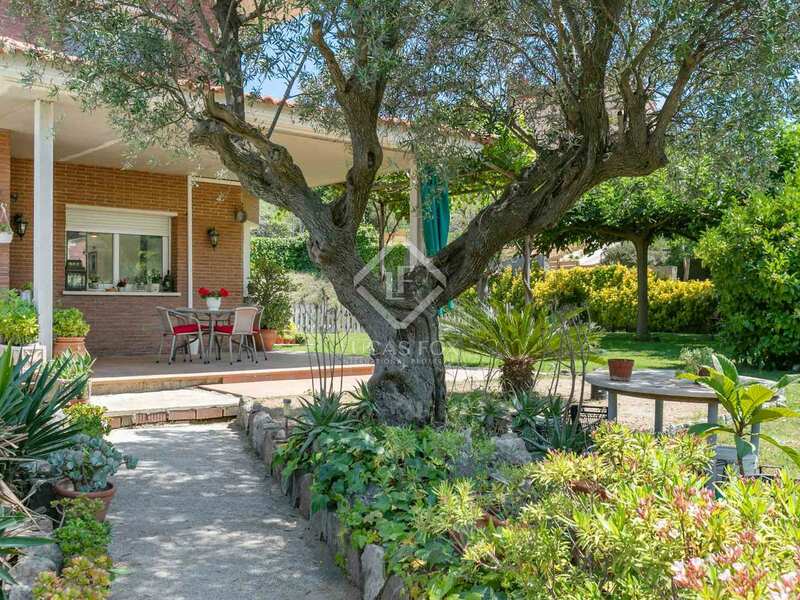 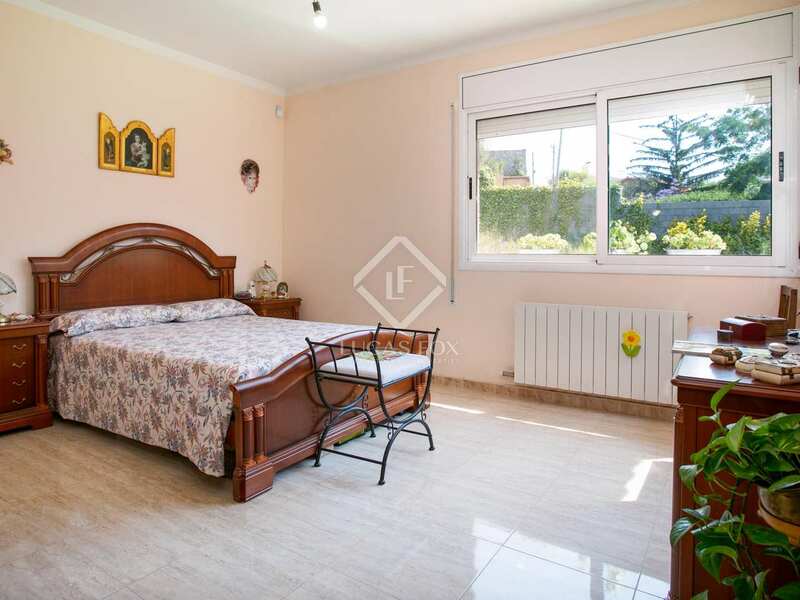 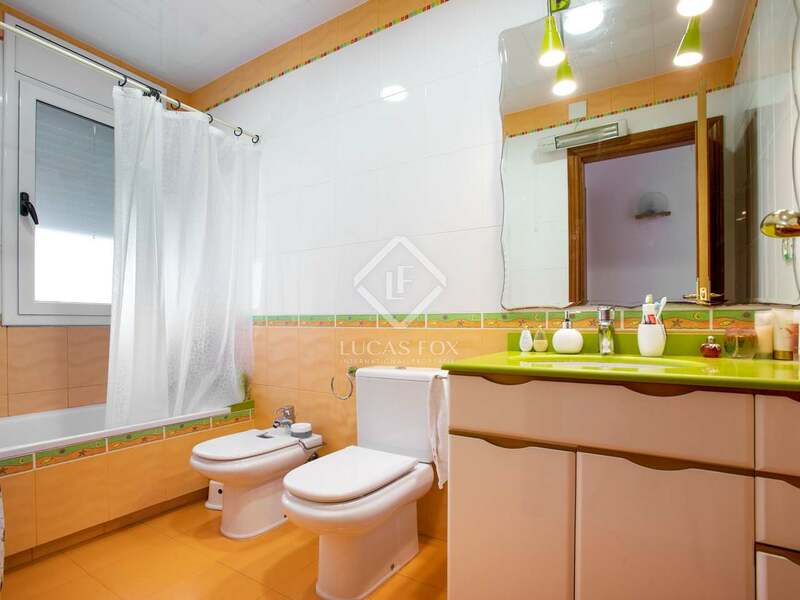 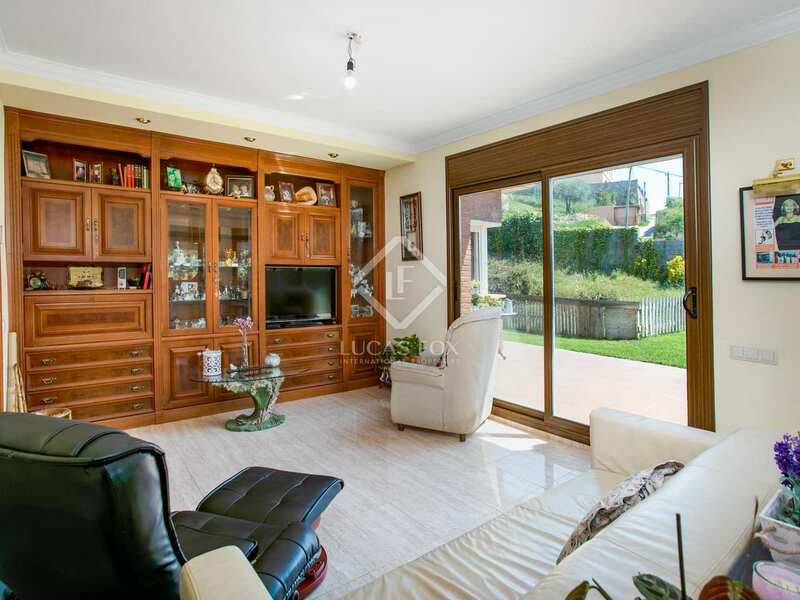 Built in 2008, this villa faces southwest and is just a few minutes' walk away from the Santa Maria del Pino private school and the beautiful Serralada Litoral park. 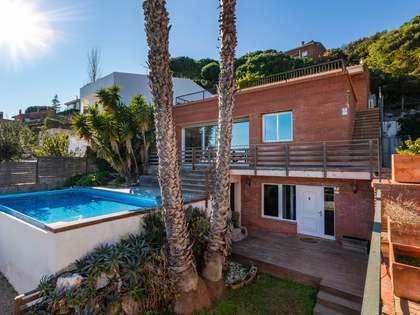 The house has 5 double bedrooms, 1 of them a suite, and 3 full bathrooms. 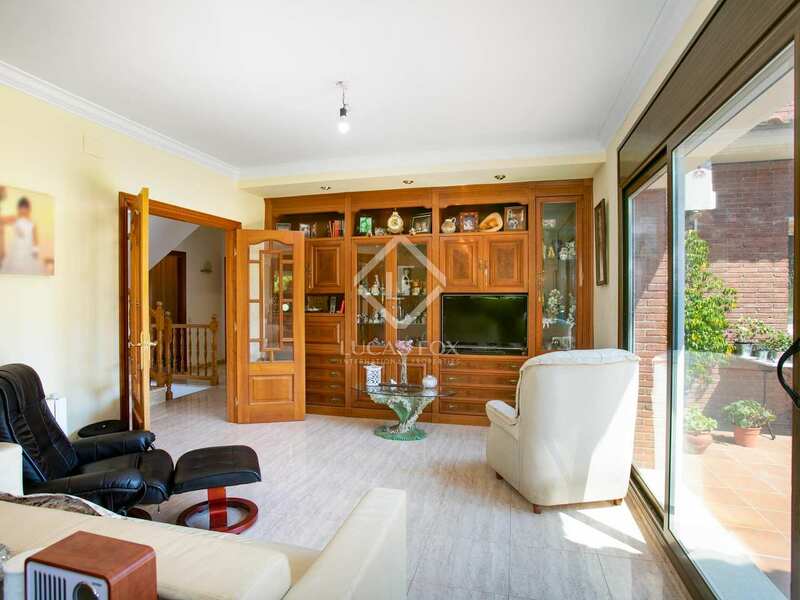 There are 2 living rooms, one on the ground floor and then an impressive 55m² additional living room on the floor above. 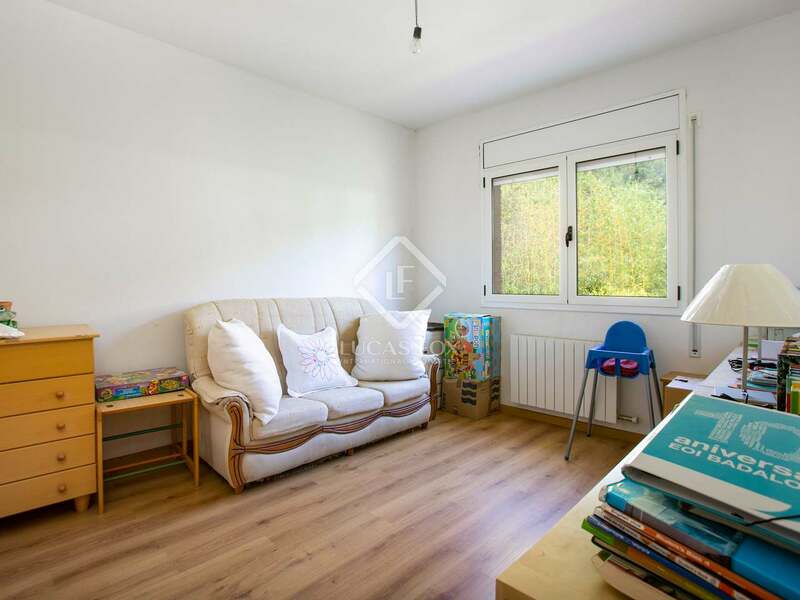 This space can also be converted into 2 additional bedrooms. 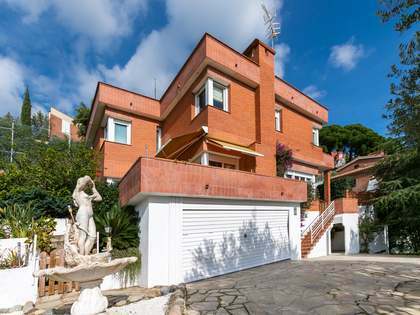 Below the house, there is a 4-5 car garage and space for storage. 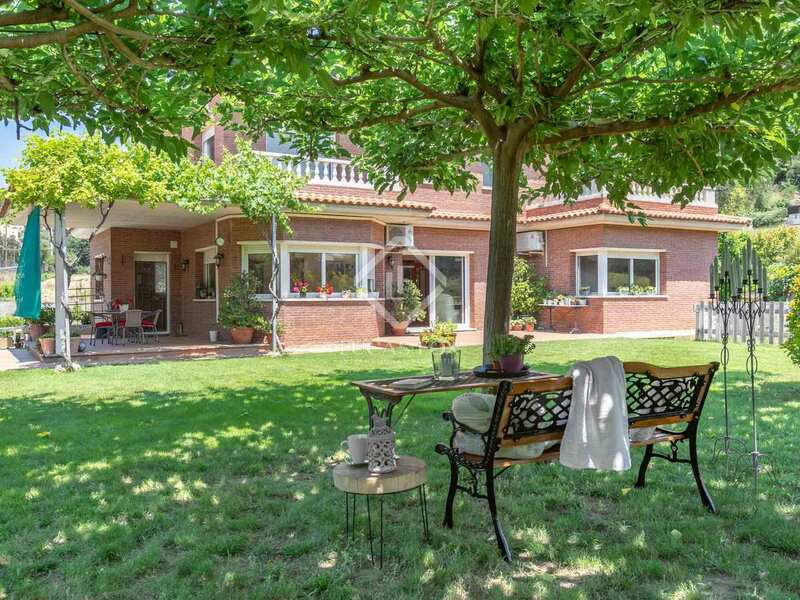 Outside the house are numerous covered and uncovered terraces for relaxation, surrounded by fruit trees. 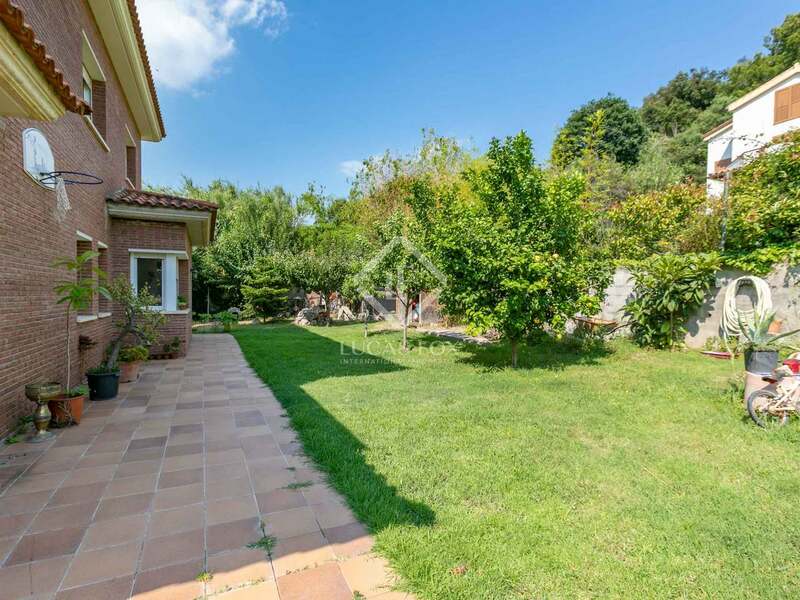 The garden has an automatic watering system and there is space for a pool, with the excavation for the project already started. 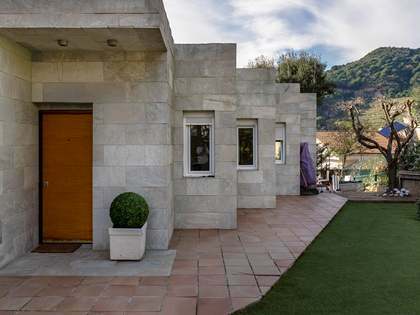 For your comfort, the villa comes with double glazed windows, electric window blinds, gas central heating and air conditioning in the living/master bedroom and automatic irrigation. 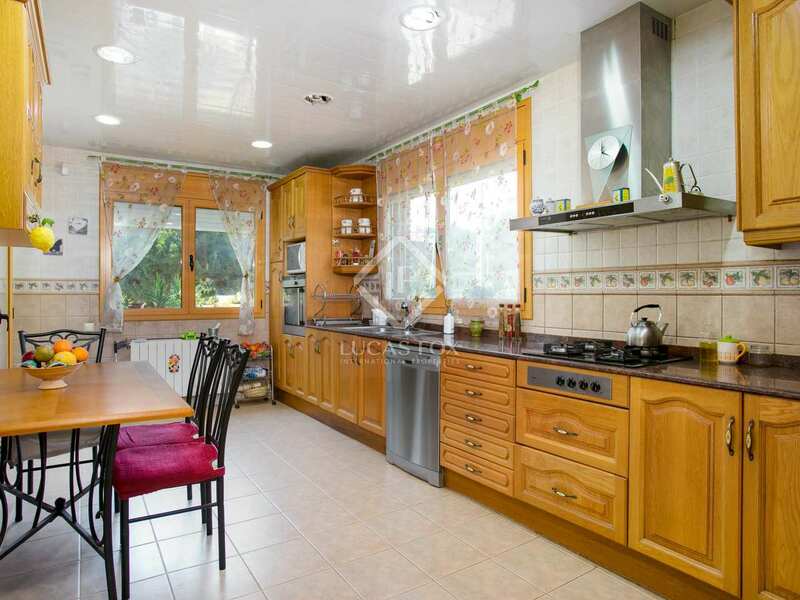 For the buyer's satisfaction, some small renovations and updates may be made. This villa is located minutes away from the Santa Maria del Pino private school and the Serralada Litoral park. 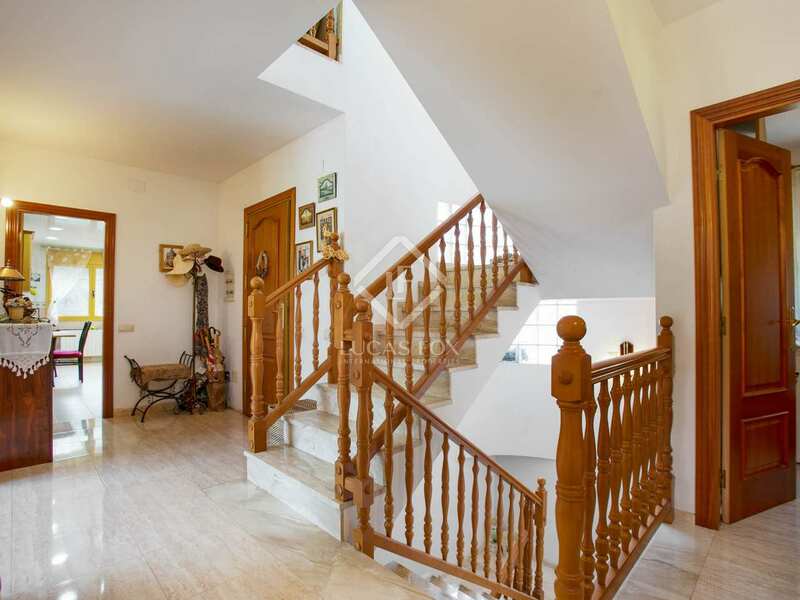 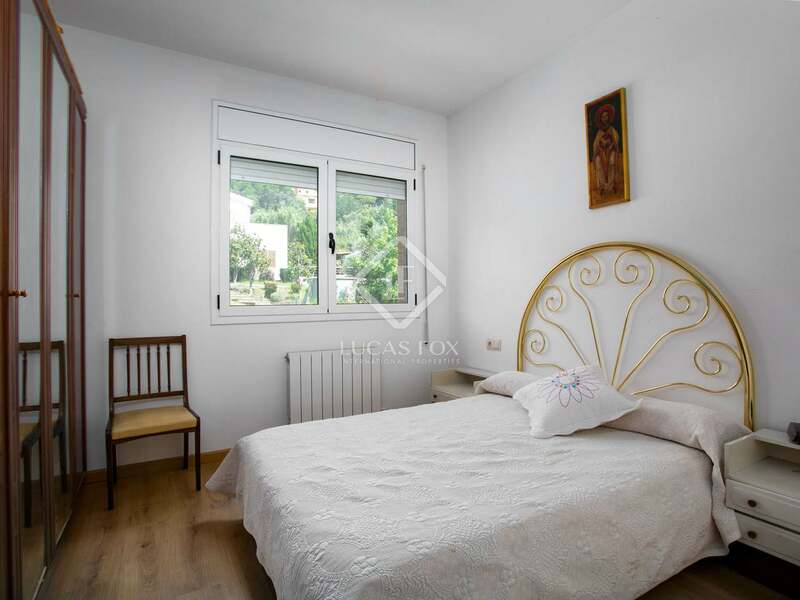 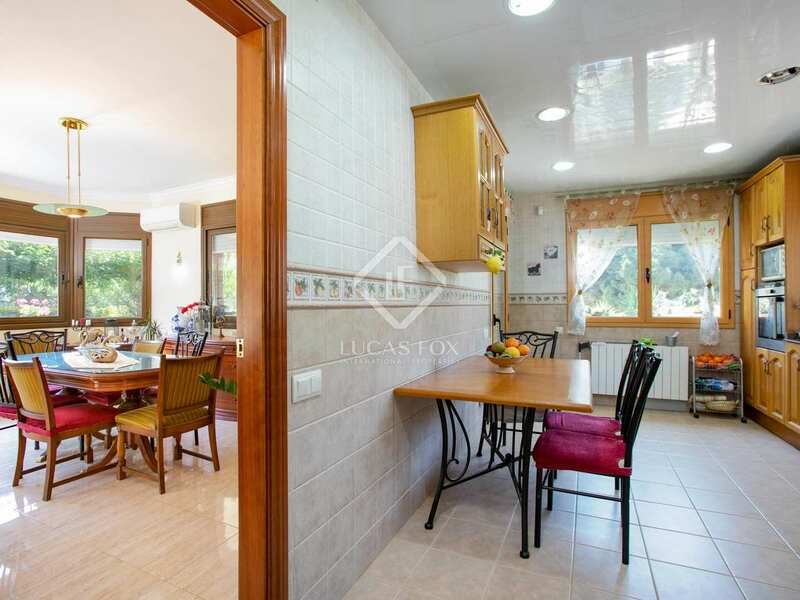 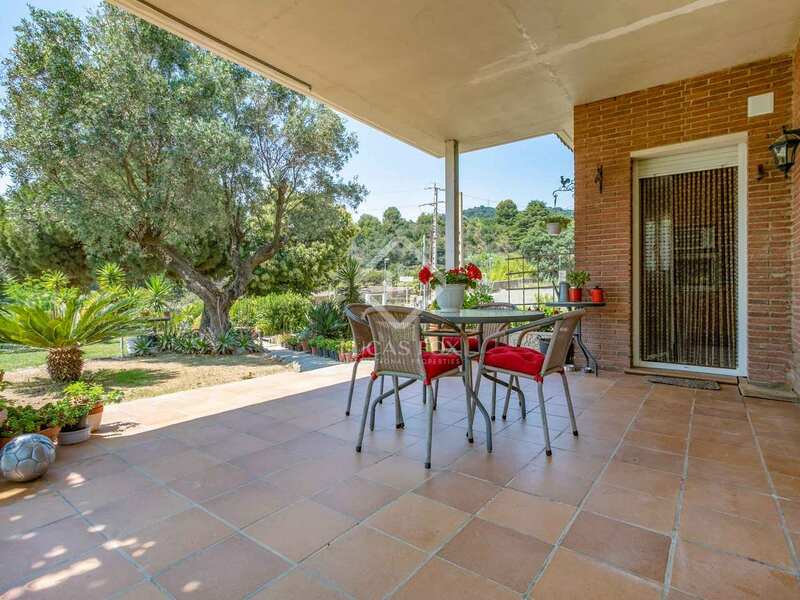 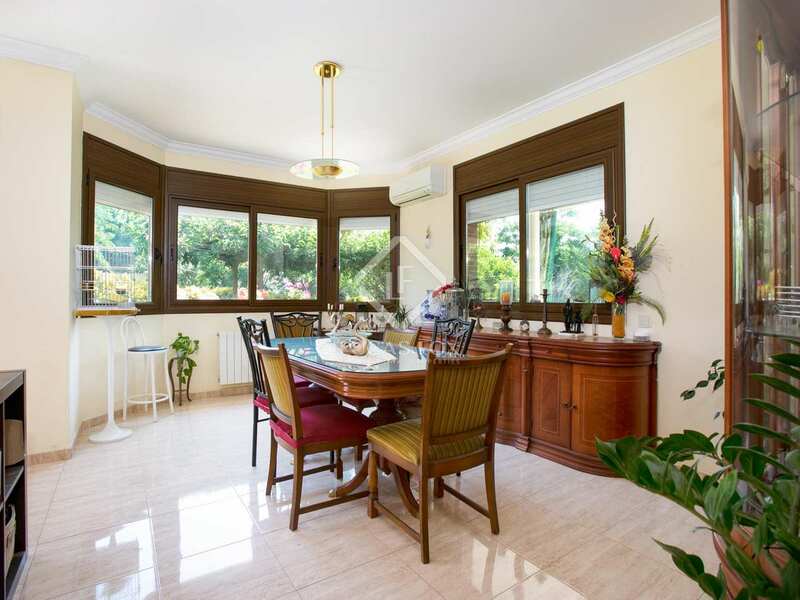 It is a 20 minutes walk to the village of Alella.